This eastern North American cousin of black elderberry is a medium to large, fast-growing, deciduous shrub. 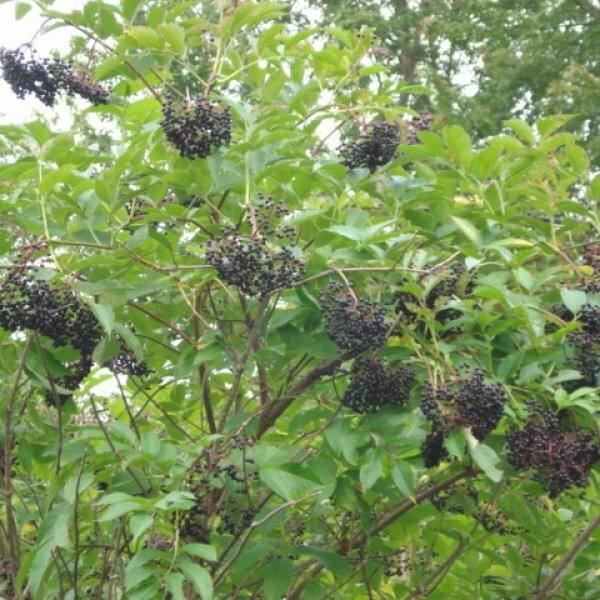 It is grown for its ferny pinnate foliage, large, musky-scented flower heads, and showy clusters of fruits. 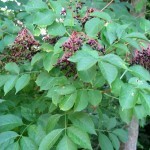 A wildlife magnet, it attracts butterflies with its flowers and wildlife with its fruit. 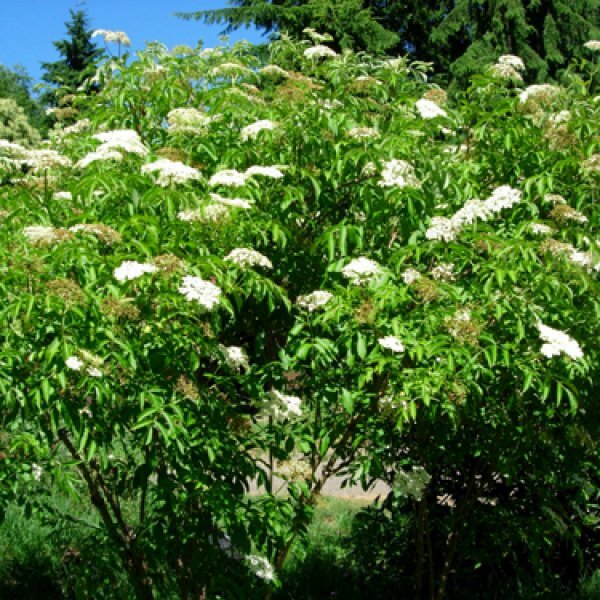 In late spring and summer, large flat-topped cymes of creamy flowers appear. They are followed in late summer by blue-black berries. The frond-like leaves are divided into 5 to 11 toothed elliptic leaflets. They emit a somewhat unpleasant odor when crushed. Among its cultivars is 'Aurea', which has atrractive golden leaves. 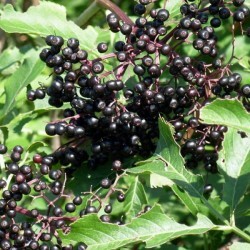 Not fussy about soils, elderberries like a sunny spot and moderate moisture. 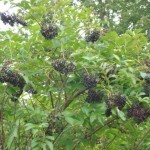 American black elderberry fruits are often used in jellies or pies and also can be made into wine. For best fruiting, plant two or more cultivars in the shrub border or as a screen or backdrop. A hard pruning in spring will produce even larger showier foliage.